Extras like "Aero Shake", "Aero Snap", "Aero Peek", "Calculator" and "Paint"
NOTE 1: Please create a Restore point using "System Restore" before applying anything mentioned in this tutorial so that you can restore your system back to default if you don't like the changes. Also take a backup of system files before modifying them, so that you can restore them if anything goes wrong or you don't like the new change. NOTE 2: If you are getting error "Can't create file...", that means you have edited and saved the same file in past and there is a backup file which needs to be deleted before saving this file again. Go to the folder containing this file and you'll see a similar file having "_original" in its name. Delete it and try to save the file in resource hacker. Windows 7 provides a new refreshing look which includes redesigned taskbar and start menu, Windows Explorer and a few other small changes. You can get the same look by using an excellent theme created by our friend "DJ Gx". Windows 7 login screen looks similar to Vista login screen except the new background image and the text displayed at bottom. Windows 7 taskbar has been highly redesigned. It doesn't show opened program's name in their taskbar buttons, instead it only shows their icons. Also the taskbar buttons are a bit large in their size. Now go to "%windir%\Branding\Basebrd\" folder and look for a file "basebrd.dll". Save the file and you have done. 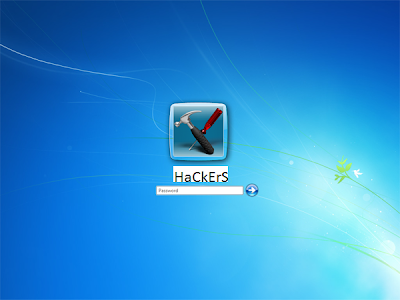 Windows 7 provides 3 new features which are called "Aero Shake", "Aero Snap" and "Aero Peek". "Aero Shake" is quite useful. Suppose you have more than one windows opened and you want to minimize all other windows except the window which you are working on, then you have to simply shake the current window with your mouse and all other windows will be minimized automatically. Shake it again and all minimized windows will be maximized again. 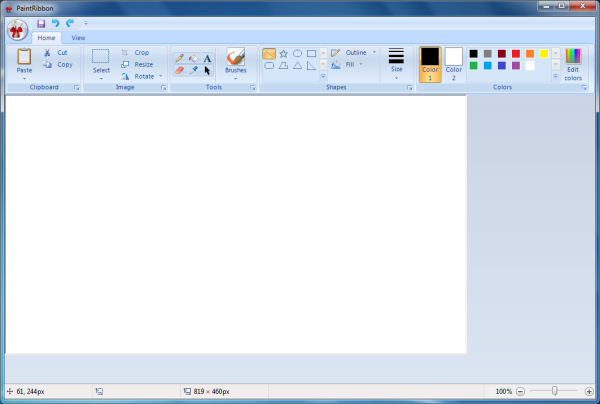 Using "Aero Snap", you can minimize, maximize, resize windows by just dragging-dropping them to the screen corners. "Aero Peek" has replaced the old "Show Desktop" button. It can be found as a small rectangle present at the end of Windows 7 taskbar. When you hover the mouse cursor over it, it allows you to peek behind all open windows by hiding all windows and showing only outlines of all windows. 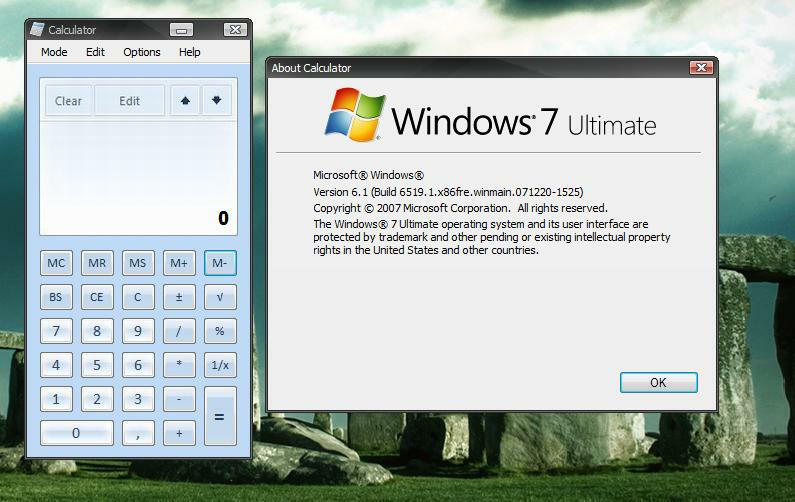 Windows 7 also contains a new redesigned Calculator which has new GUI and new options. 1. Windows 7 shows two extra options in Desktop context menu ( i.e. when you right-click on Desktop). "Screen resolution" shows the graphics card settings page where you can change the monitor and resolution settings. "Gadgets" opens the Add gadgets window so that you can add new gadgets to your sidebar. 2. 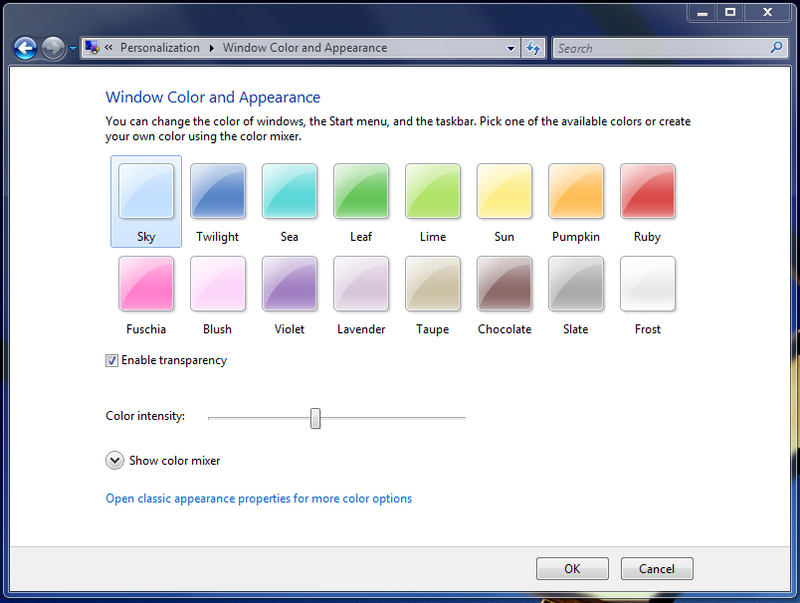 One of new redesigned features in Windows 7 is new "Window Color and Appearance" tab in Desktop Properties. When you right-click on Desktop and select "Personalize" and then go to "Window Color and Appearance" tab. That's all for now. After following all the above mentioned steps, you'll get Windows 7 look-n-feel in Windows Vista.